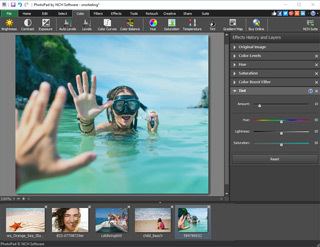 PhotoPad photo editor is a free photo editing software for Windows. 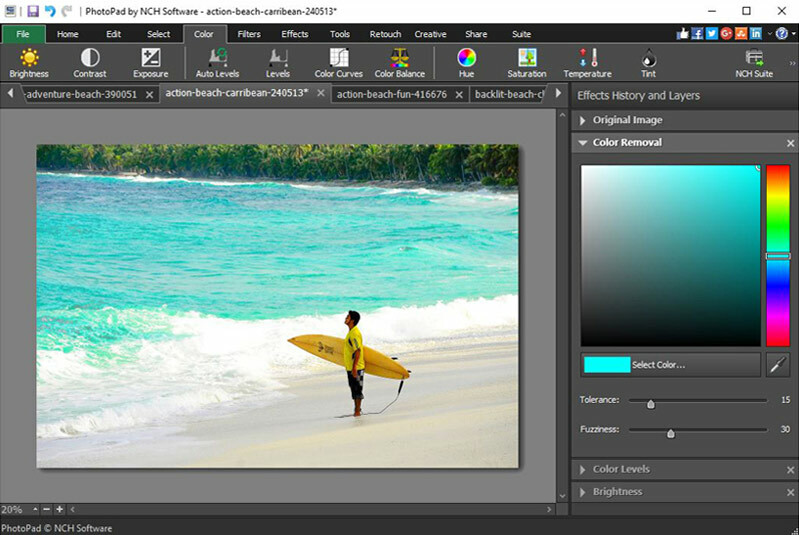 It allows you to edit and apply effects to photos and other images. When editing photos you can crop, rotate and resize and, if required, add effects like sepia tones, red eye reduction as well as the ability to change the hue, saturation and brightness levels plus more.